For a while now, I’ve been reading what are known around here as “chapter books” out loud to my children before they all go to bed each night. We don’t manage to hit it every night, and some nights we get more reading in than others, but I’ve found they greatly enjoy the activity, even if they don’t all necessarily understand everything that’s being read. I guess I should clarify that these are fiction books. I’m not opposed to reading non-fiction stuff with the kids, but my children all seem to have insatiable appetites for made-up stories and adventures. One of our biggest undertakings was reading the entire Chronicles of Narnia series, by C. S. Lewis. That sort of segued into reading J. R. R. Tolkien’s The Hobbit, and now we’re biting off probably our toughest challenge yet, The Lord of the Rings trilogy. Being the proper British chaps that they were, there’s a certain kind of stiffness and matter-of-factness that runs through even the fantasy works of these two legendary authors. 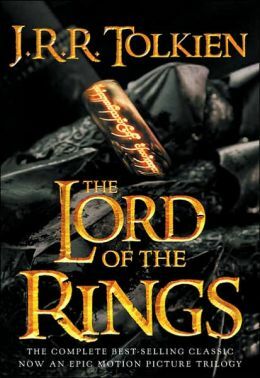 A word of caution: If you were a huge fan of Peter Jackson’s take on The Fellowship of the Ring and you haven’t read the book yet, be prepared for a shock to your system. All those characters you saw constantly in peril on the screen spend pages and pages and pages in the book just walking around. I heard someone peg this in a Tolkien documentary recently when they said it was as if Tolkien didn’t exactly know where his characters were going either. In reality, though, a great deal of time is spent in both The Lord of the Rings and The Chronicles of Narnia reading about characters simply slogging forward. 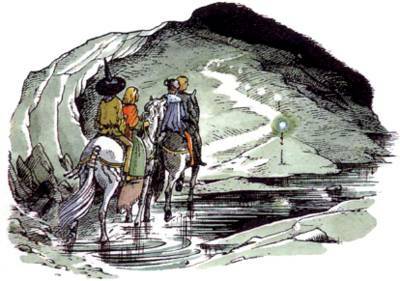 I think about Lewis’s The Silver Chair, where Eustace Scrubb, Jill Pole, the Marsh-wiggle Puddleglum, and Prince Rilian, the heir to the throne of Narnia, wander around for a good deal of time in the dark. What else were they going to do, though? They couldn’t just not keep going. That was the only option they had. I certainly don’t know if this was their intent, but I’ve come to believe both Tolkien and Lewis were using these seemingly dull passages to reflect an important fact of life: Sometimes there really isn’t anything you can do except just go on. The end you anticipate my appear totally unappealing (Think Frodo and the trip to Mount Doom…). You may experience pain and discomfort along the way. You may even feel like turning around and going back to where you came from. In the moment, though, you know you have to see things through and proceed to the next step. As I’m typing this, local forecasters are warning we could experience a harsh winter storm this weekend. I appreciate their efforts to make people of aware of this potential threat, but they’re also (perhaps inadvertently) scaring the living crap out of everyone. I keep wondering if I’m prepared well enough. Then I realize it doesn’t matter if I’m prepared well enough or not; if the storm is coming, it’s coming. It’s not as if I can run away from it and hide somewhere. I know this might not seem encouraging on the surface, but if you are standing today, you kept going. And if you’re concerned about tomorrow, just realize you had to come through something just to get to the place where you could be worried about the next thing. Maybe Tolkien or Lewis didn’t know where their characters were going, but they followed them until they got there. I’m starting to think if I keep wandering through my pages I may get where I’m supposed to be one day, too.